Abraham Lincoln: "If we know first where we are, and where we are going, we will know better what to do and how to do it." The importance of defining the vision can be learned from the bible. Proverbs chapter 29, verse 18 says: Without prophetic vision, people run wild. The entrepreneur defines his purpose - a super goal. 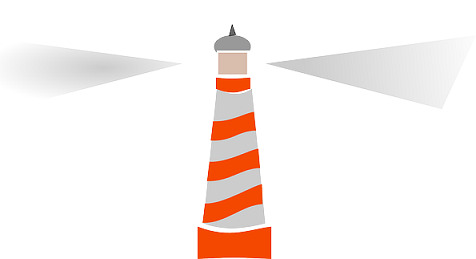 Defining vision is critical for the success of a project because vision is used as a lighthouse, to point the entrepreneurs and his or her partners to the right way, where they should go, and what will be thought of as success. An entrepreneur, when starting a project, gets a lot of advice from those around him or her, and encounters various possibilities and opportunities. These factors may distract him from the goal, and cause him to move from one subject to the other and in the end not to achieve even one meaningful goal. Everyone can define their purpose and preferably more than one objective when every vision is in a different area. For example a family vision, professional goals, a social purpose, etc. Defining a vision gives meaning to our lives and helps us to focus and achieve goals. It is desirable that the vision will be significant, as well as both challenging and achievable since a significant purpose precedes success. Close your eyes and imagine yourself in three or five years. How do you see yourselves? What have you achieved in the various fields of your life? If you have vision and aspirations, imagine how you will feel in a few years assuming you have achieved them. This method makes the aspirations more tangible and gives us the feeling that we can achieve your goals. Even companies define their own supreme goal. This determination is very important in motivating employees to realize this primary goal because the supreme ambition makes it clear to everyone what the organization's aims and ambitions are. Watch Cameron Herold's lecture at TEDxVancouver on the subject of vision. Despite what was said above, you don't need to wait until you have a vision to start working. If there is a field that interests and excites you, immerse yourself in it. At the same time, be attentive to recognizing opportunities. Usually, the combinations of these two factors will help you find your destiny, give society value, and then accumulate a vision. If you don't have a vision, and you wait and do not progress and work, you may find yourself wasting valuable time and unable to express your abilities. The Entrepreneurship for Kids Program, which is taught in dozens of schools in Israel and the world, began by taking action, and not from a vision. I simply started teaching entrepreneurship in my son's school, discovered I love the field very much, and that I bring lots of value to the students, and with the success, the vision came - it even changed over time. "In my opinion, part of the reason for our success is that we didn't want to start a business in the first place. We conducted research in Stanford University. Google more or less grew out of that, and we didn't even mean to build a search engine in the beginning. We had an interest in the internet and data-mining, and eventually, we came up with search technology, we realized it was very good, and then we built the search engine. Then we told our friends and our professors. Pretty fast, more than 10,000 people used it daily." 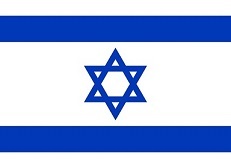 The vision to establish Israel: "A home for the Jewish People." This vision is presented in Module 3 of the Entrepreneurship for Kids Program, as one of the examples to indicate the importance of defining a substantial vision. Omri Caspi, the first Israel player in the N.B.A, said: I have dreamed on N.B.A since age zero. This dream served as a compass and Omri directed himself to make this dream come true. In 1975, Bill Gates, the founder of Microsoft, defined the vision for his company: a computer in every office and every home. Today we accept this reality for granted, but in the past, it was a utopian dream. 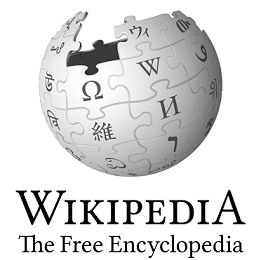 Wikipedia mission: To build the most accessible and comprehensive source of free knowledge in the world. Wikipedia delivers free knowledge to people, by people, in hundreds of languages around our planet. Jimmy Wales, the founder defined their vision: "Imagine a world in which every single person on the planet is given free access to the sum of all human knowledge. That's what we're doing." 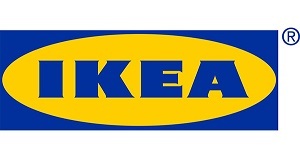 Ikea's goal is to create a better everyday life for many people. The company fulfills its vision by offering a wide range of well designed and useful furniture products at low prices so that as many people as possible can purchase them. In the beginning, even before Twitter was actually founded, one of its founders defined his ambitions, which were actually the basis for the company's vision as defined below: "Someday, every celebrity in the world's going to use this, and bands are going to use this to communicate to their friends." 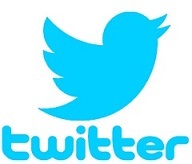 Twitter's official vision statement was defined as follows: "Our mission: To give everyone the power to create and share ideas and information instantly, without barriers." Sometimes it seems easy to set a goal, but a dream without the tireless activity to achieve it will remain a dream. A mission is not defined as a vision if it is not significant, and being significant makes it inevitably hard to get - and here is the challenge that the entrepreneur faces. Every entrepreneur has difficulties in the realization of the "big purpose." One of the differences between a failed entrepreneur and a successful entrepreneur is how much they are ready to continue dealing with the difficulties and not give up and despair. Arava Power Company goal: Arava Power Company aims to be the leading supplier of electricity from solar energy in Israel. Partnering with Kibbutzim and Moshavim, the company intends to produce 1000 megawatts of solar power by 2020. On 5.6.2011 Kibbutz Ketura inaugurated the first solar field in Israel. Ostensibly, the construction of a solar field in Israel [sunny country] sounds as if a project is requested, but John Cohen, CEO of Arava Power, explained that as a pioneer in this field, it still faces many difficulties in the realization of the great ambition. Yosef Abramowitz, when contemplating the project, said in an interview with Ma'ariv [25.12.2011]: At first, everyone told me that it is impossible. When someone tells me that it is impossible - it gives me courage, it gives me a challenge, and it makes my eyes lightning. Indeed, the difficulties in setting up the solar farm were and still are many and varied, but they are mostly bureaucratic: Approval from government agencies, endless meetings with the IEC, the process of issuing licenses and more. Despite all that, the planning that began in the late 2006 was carried out, and in June 2011 they inaugurated the first solar field in Israel. The ability to cope with the difficulties is what leads the entrepreneur to the long-awaited moment of inaugurating the place. When to Update a Vision? 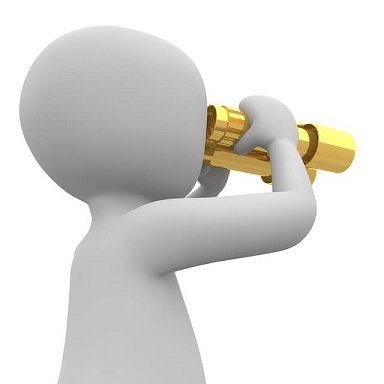 If the vision is the compass pointing to the direction the company is heading towards, it begs the question - when do you update a vision? A vision is meant to define the company's intentions for some years, but once the vision has been realized, the company needs to "reinvent" itself and come up with a new, meaningful and challenging vision. You update the vision according to technological advancements, environmental and social changes, etc. -- And the vision must adapt to the changing reality. Often times the company changes its vision after better understanding the market in which it operates, and finding more meaningful growth directions. A company that realized its vision and hasn't updated it will die down very quickly, as demonstrated by companies like Kodak, Blockbuster, Nokia, Blackberry, and others. There's no time for resting on laurels; you must move forward into the future. Waze, for example, succeeded in becoming the most popular real-time navigation system in many countries around the world. Now, it's aspiring to become a company that helps people find a shared ride through carpooling, thus reducing the congestion on the roads. Facebook in its early stages aspired to give people the power to share and make the world more open and connected. Facebook's vision as of 2017 is: "Give people the power to build community and bring the world closer together." Microsoft's vision has been updated a very long time ago, and as of today is broadly defined as: "Empower every person and every organization on the planet to achieve more."